A simple website for a well-known home builder in southern Delaware. 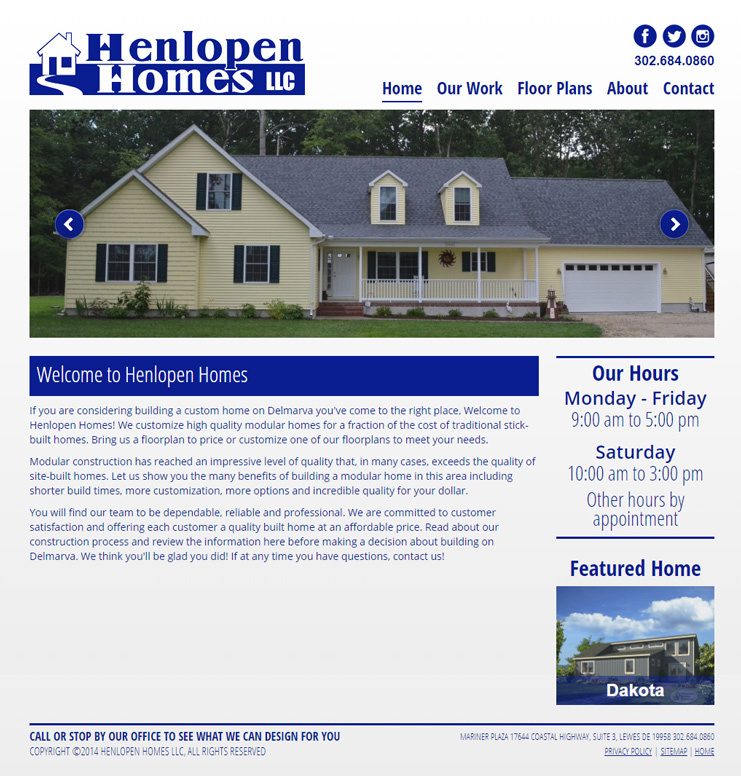 Create an appealing albeit simple website for a well-known home builder. The design of the site is clean and simple with an emphasis on contacting the company for more information. The floor plans are organized into categories with a search function. There is also a gallery of past work.